Santa's helpers, otherwise known as the elves, along with reindeer, are the most popular of the secular Christmas characters, and beloved by children around the world, whom I think secretly see themselves as elves when they're growing up. 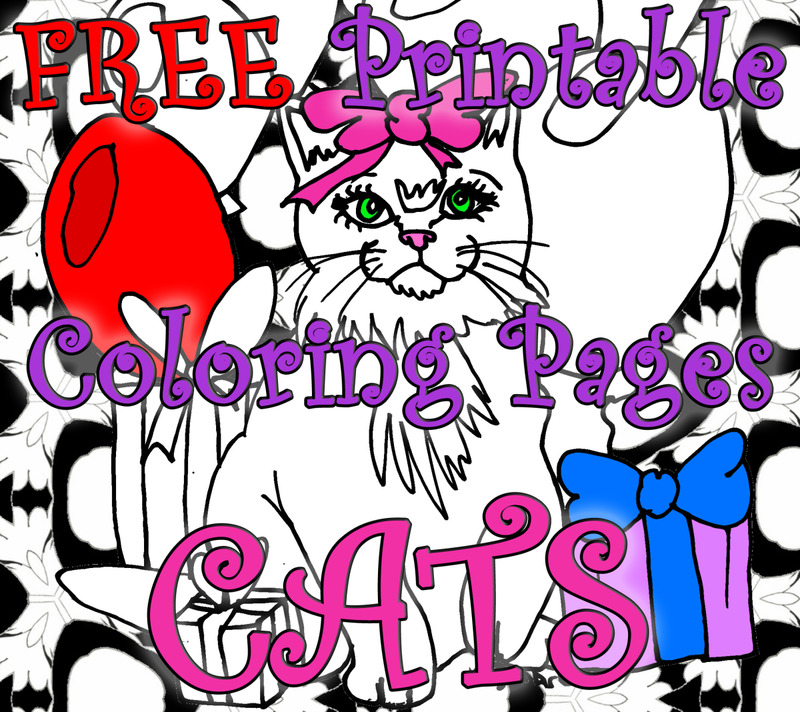 That lends itself to a wide range of artwork incorporating elves into the design, and that's true with printable coloring pages from the Internet, which can be immediately downloaded and printed out for instantaneous gratification for children whom are looking for some type of activity to be involved with. 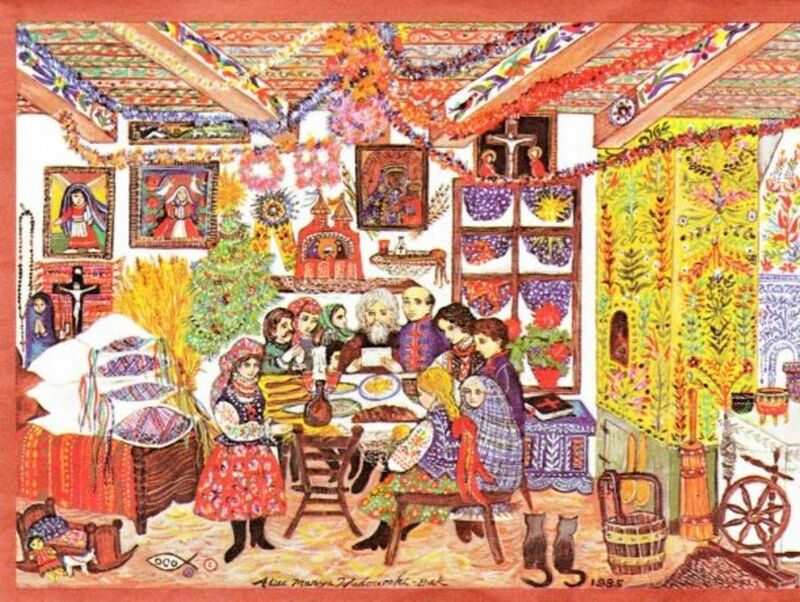 So for those of you looking for Christmas elves for your children to color, in this article there are a number of them collected to be able to use right away, or to get ideas for what is out there if you're looking for ideas. For those who want a wider variety of elf printable options, all that needs to be done is put the phrases "printable Christmas elves" or "Christmas elf coloring pages" in their search engine to get more than enough elves for your children or grandchildren to ever be able to color. There are many more types of elves than those we imagine concerning Christmas, so including Christmas elves in the description helps to narrow down the number of images you have to go through. 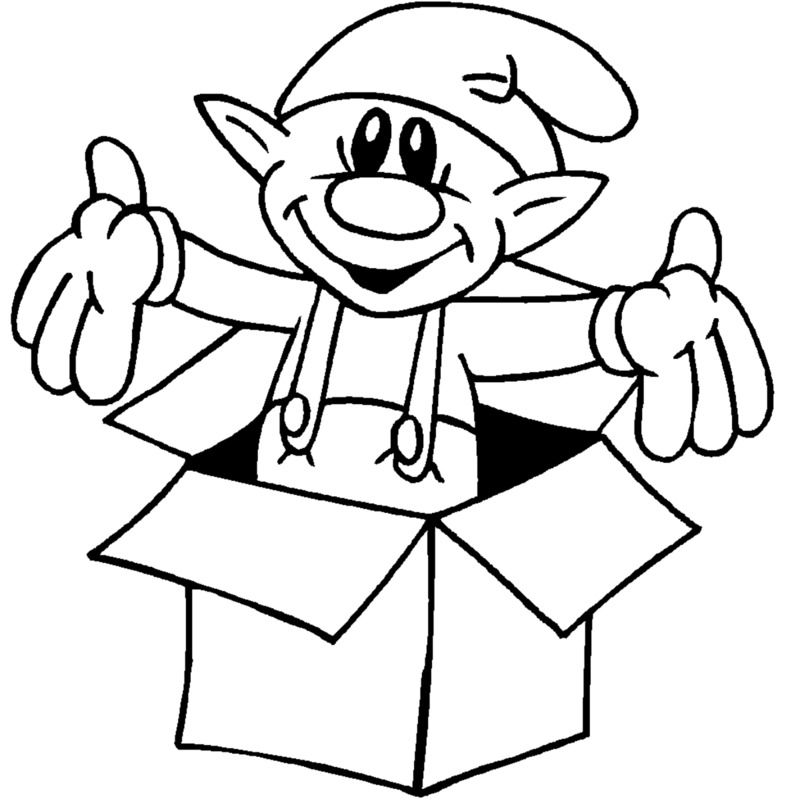 Let's now look at some of the Christmas elf printables available for instantaneous use. 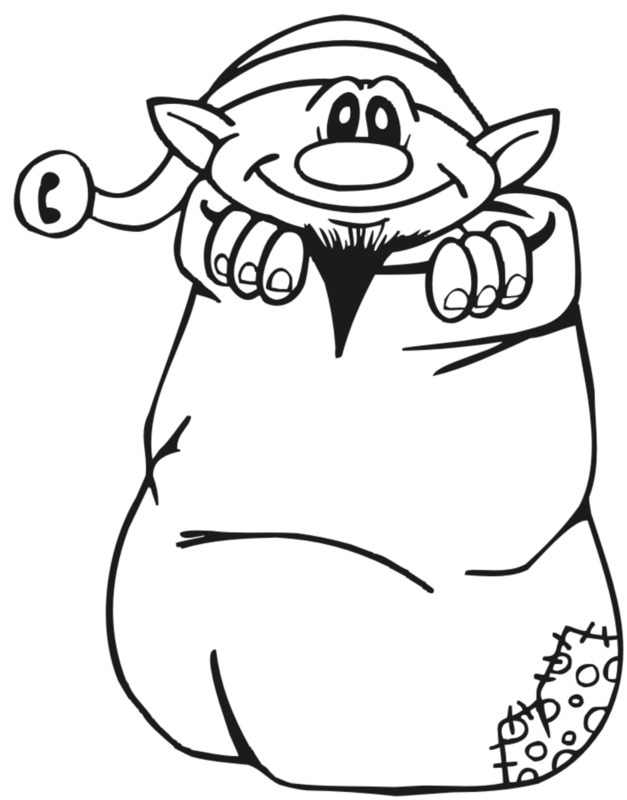 This first look at a Christmas elf coloring page was started off with because it would be a good design for children just starting to learn how to draw; especially with the large sack that they don't have to worry much over any overt design elements like those smaller areas at the toe with the elf's fingers, face and hat. What was very funny and endearing with this elf printable wasn't just his marvelous face, but that little patch at the bottom that suggests Santa's sack has seen a lot of use, as well as better days. A nice touch of humor for us adults who understand the fun associated with the patch. For little children, they will only focus on the funny and happy head of the elf, while some will probably ask what it is with that odd thing at the bottom of the sack. Believe it or not, for those of you not familiar with this little controversy, there are battle lines drawn and questions asked about what the actual name of this well-known elf from the show "Rudolph the Red Nosed Reindeer," whose goal in his professional life was to be a dentist, and who saved the day when taking care of the teeth of the abominable snowman. Now the name of this little elf is actually Hermey and not Herbie. Even so, when looking for this fellow online, there are far more references to his name being Herbie than it is Hermey. So if you're looking for him online, when doing a search you'll find him using either name, with more results from search engines when using the wrong name. Either way, it won't matter to children, who strongly relate to this lovable elf. 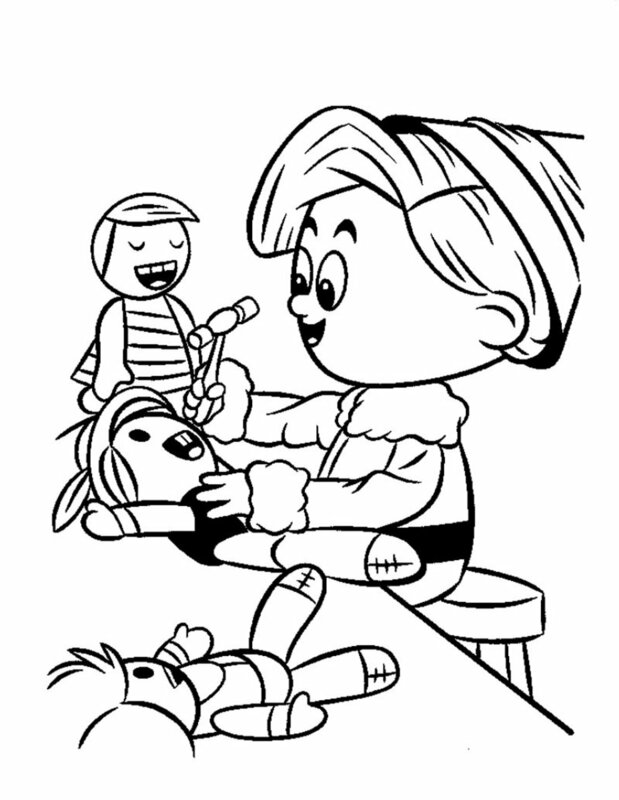 This printable featuring Hermey is conducive to his purpose in life, as you can see from the figures he is working on, which are apparently models to use to learn his dental craft. Elf from "Rudolph the Red Nosed Reindeer"
This is a very cute image of a couple of Santa's elves working on a train in his workshop. Even though we live in a high-tech age, trains still remain compelling to children; especially to little boys. So even though this is more of a look at elves good at their craft, the subject matter will be attractive to children. 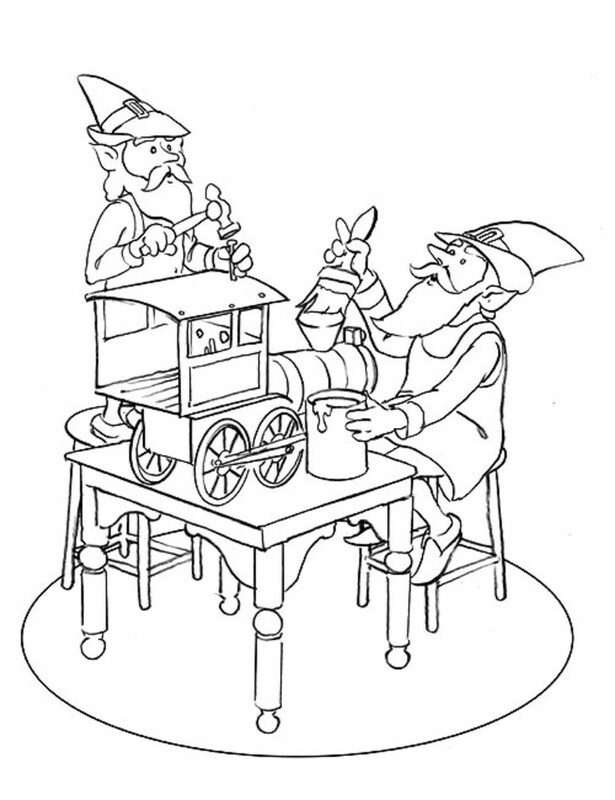 That includes the reason of having the two elves in the picture, as well as the hammer and paintbrush as they work on the train engine. Children a little advanced in their coloring skills would enjoy working on this more detailed Christmas elf coloring page. I don't know if this is supposed to be a take on an elf-in-the-box or not, but it gives the sense of wanting to create the element of surprise for the one opening the box as the little elf jumps up in gleeful surprise. Whatever is being portrayed, it's a good example to me of the type of coloring page children graduating from the scribbling stage to attempting to color more within the lines of a drawing. The mostly large areas make it more probable that the child won't be overly frustrated when working on this Christmas elf. After all, we do want to encourage our children, so providing a more simple design keeps us from setting them up for failure. But for most children, just working on this happy looking little elf will go a long way towards keeping them from having any type of negative coloring experience. 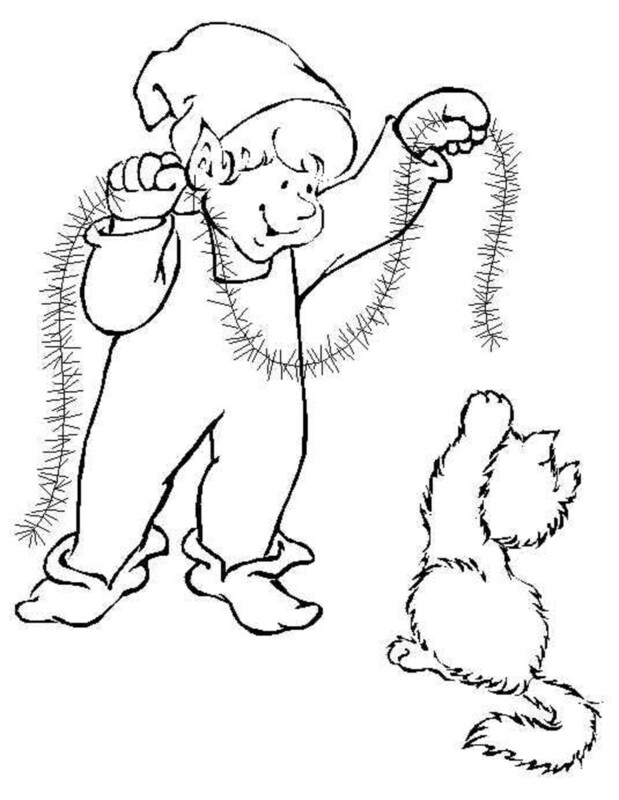 Children and any cat lover will really enjoy this coloring page where the elf takes some garland and playfully interacts with the kitten, which predictably uses its paw to attempt to swat at and/or catch the garland. 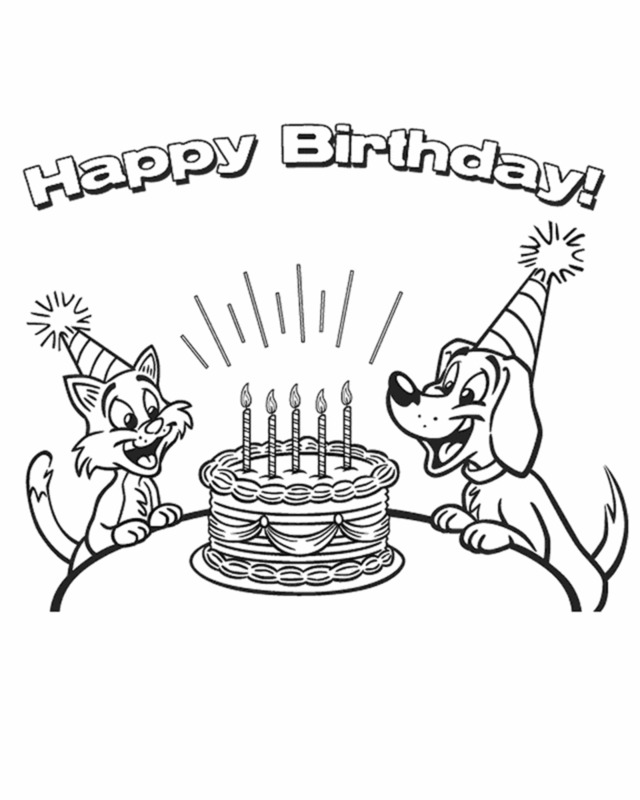 It's a very cute drawing, and one that is sure to attract the attention of and delight of children. 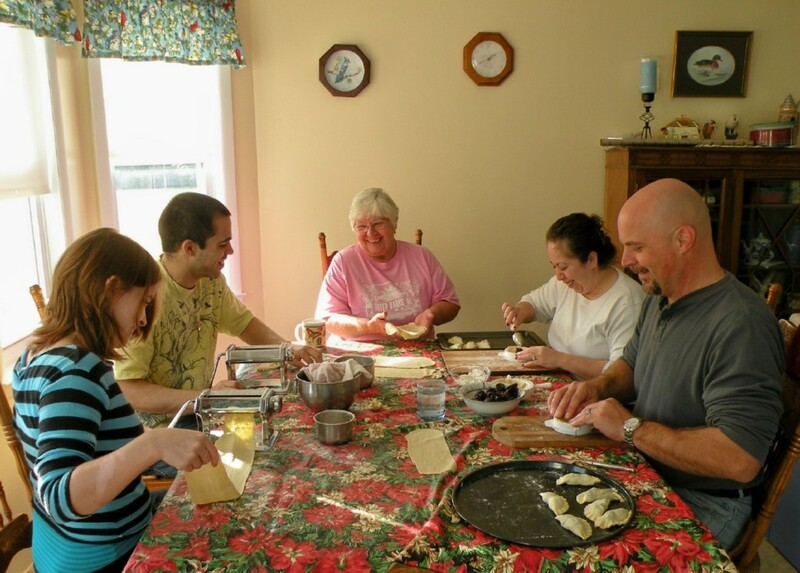 Children with a little more skill could even want to place it somewhere in the house for the entire family to enjoy and look at during the Christmas season. 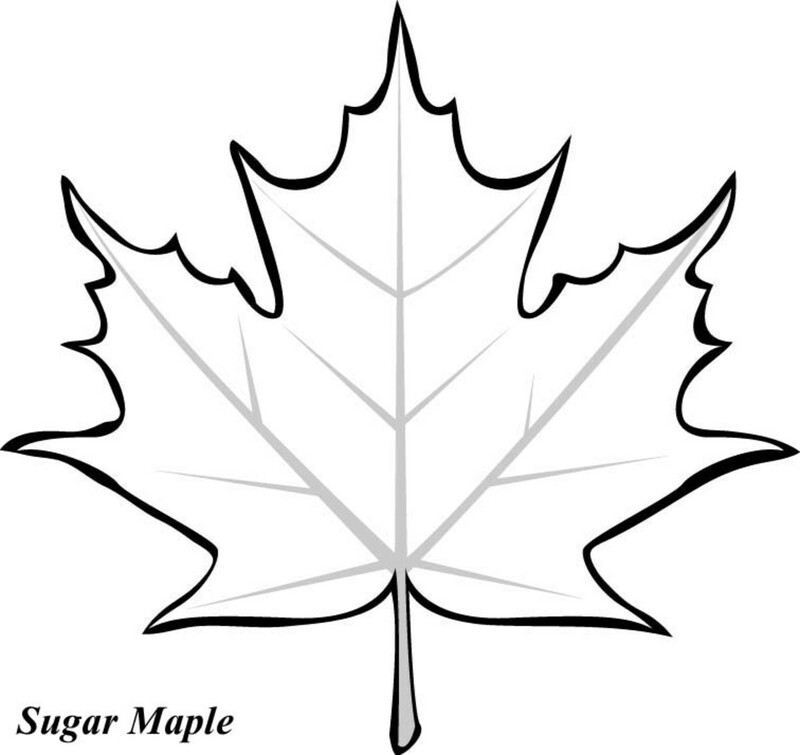 Because of the subject matter older children may like this printable, but younger and less skilled children would also like working on this compelling but simple drawing which would be fairly easy to color in. There are very few things more interesting to children than Santa's helper elves, and these fun and interesting drawings are sure to delight them as they participate in making this popular characters come alive through their coloring of them. One of the strengths and benefits of printables is you can always use them to interact with your children about various things associated with them. From Hermey the elf wanting to secretly be a dentist, to the work ethic of the two elves working on the train. No matter what the image or underlying theme, there is always something in them you can talk about with children. After, that's part of what life and Christmas is all about. These are wonderful! I voted up and across the board!